For high density hanging garment storage you really need to use all of the available height in your stockroom. 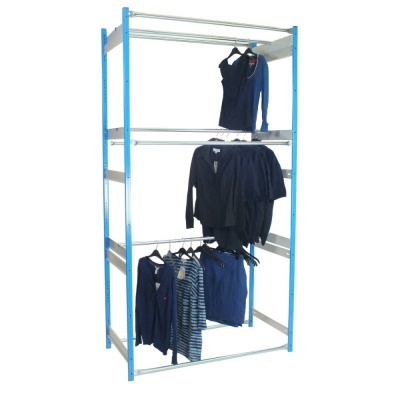 This 3 tier racking unit is perfectly suited to retail clothing storage thanks to slim profile posts and outboard rails which help to maximise stock capacity. 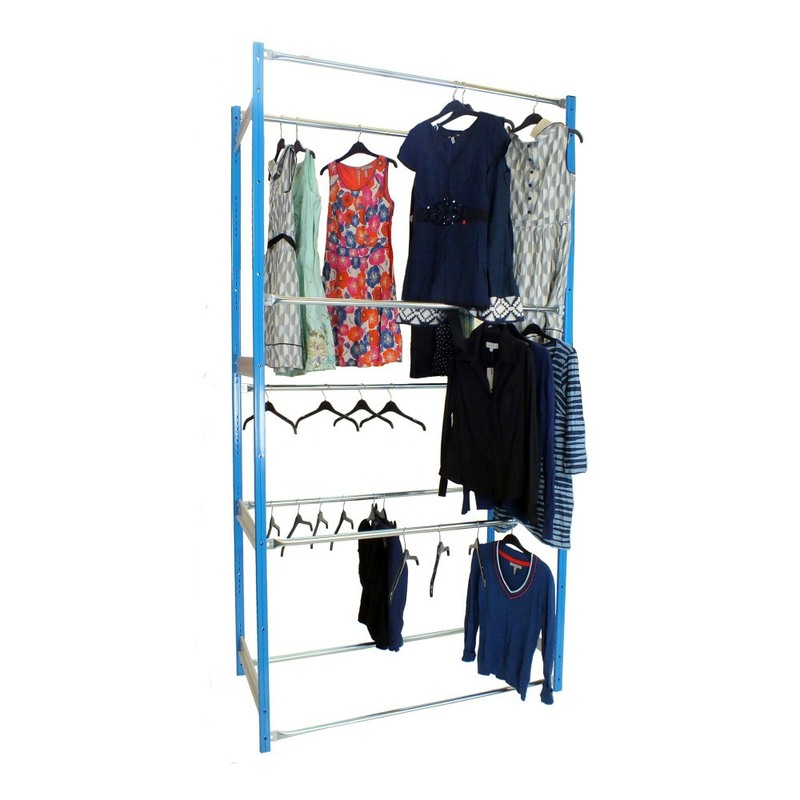 By utilising outboard hanging rails, double-depth clothes storage racks are created within what is a relatively small footprint. 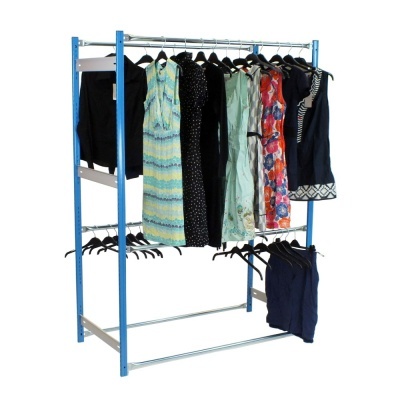 With three hanging levels, this unit makes for an ideal shirt or T-shirt storage solution in a retail stockroom. Alternatively you could set the rails at different heights to suit one level of dresses and perhaps two levels of lingerie or other smaller items. 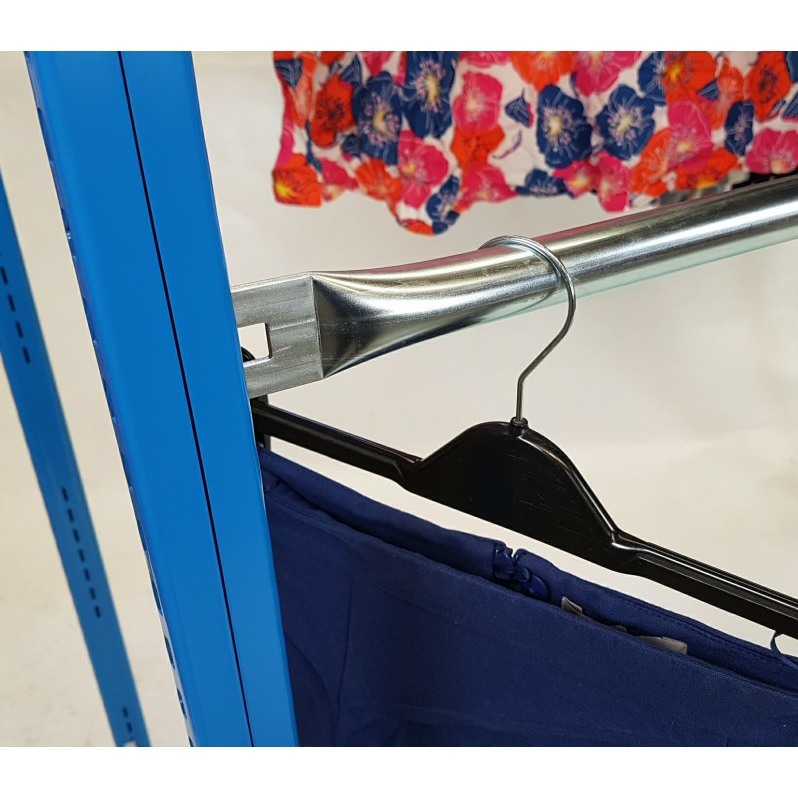 Storing garments in this way allows bulk retail storage where clothes can hang into the aisle, for greater stock density when compared to inboard hanging racks. Order online in the most commonly used configurations, if you need something a little different then please call us on 01993 779494 to discuss your requirements. Choose starter bays for standalone units, if you want to create long runs of connected racks then simply use cheaper add-ons to extend the starter unit. Important safety note: All 3 Tier garment racks should be fixed to the floor &/or wall before use. 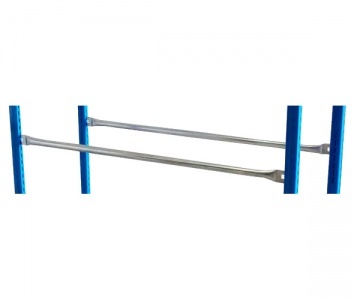 Note: If you are unable to fix this unit to the wall/floor, aisle ties can be supplied to secure bays - please call for details.